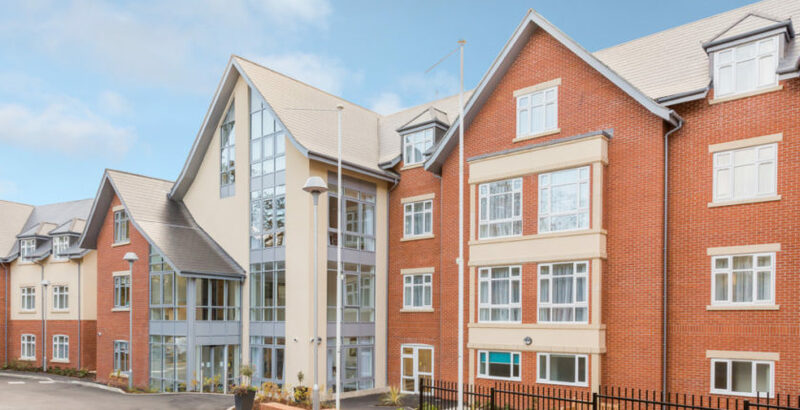 Gracewell of Camberley care home in Surrey has been rated Outstanding by the CQC. The home, which is part of Gracewell Healthcare (owned by Sunrise Senior Living UK) joins the 2% of services rated Outstanding by the CQC. Melanie Jacobs, General Manager at Gracewell of Camberley, said: “This is a fantastic achievement for the whole team here at Gracewell of Camberley. It is testament to the pride our team members take in the care we provide, and the dedication they show to the residents that live here. In the report the CQC inspectors praised Gracewell of Camberley for its “imaginative and creative ways to make sure people’s care and support met their needs and reflected their preferences and cultural background”. The CQC also highlighted that residents “were supported to access healthcare services, such as GPs and specialist nurses and therapists”, and team members had “developed caring relationships with people they supported”. Residents were always encouraged to take part in decisions about their care needs, the inspectors said, adding “views of residents were listened to” and team members “respected people’s independence, privacy, and dignity”. The CQC said that the home’s “quality assurance processes were extremely thorough, wide ranging and soundly embedded in a system of continuous improvement. There were exceptional arrangements to develop the leadership qualities of senior staff, and the home’s governance system was effective”. Joanne Balmer, Senior Director of Care and Quality for Gracewell Healthcare and Sunrise Senior Living UK, said: “Our team works really hard to deliver high quality person-centred care and support to residents and the feedback received from the inspectors showcases this. To see the full CQC report, please visit: https://www.cqc.org.uk/location/1-3056983363.